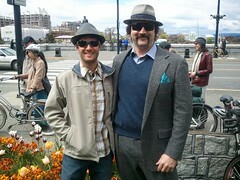 Posted on September 28, 2014 by Tweed Ride Victoria Posted in Uncategorized	. 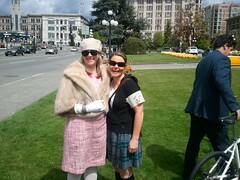 Posted on September 13, 2014 by Tweed Ride Victoria Posted in Uncategorized	. 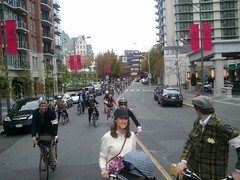 Posted on September 12, 2014 by Tweed Ride Victoria Posted in Uncategorized	. 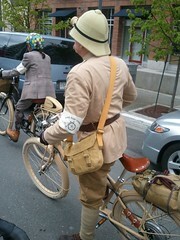 Posted on September 11, 2014 by Tweed Ride Victoria Posted in Uncategorized	. Victory Barbers are once again awarding a prize to he who has the best groomed facial hair. Male riders are encouraged to show off their mustache. 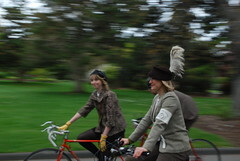 Posted on September 9, 2014 by Tweed Ride Victoria Posted in Uncategorized	. 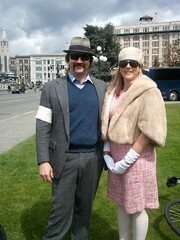 And Now, the Official Tweed Ride Route. 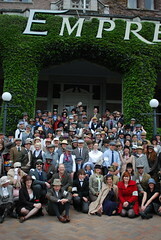 11:45 am- Tweed Ride Group Photos This is the chance for all those hangers-on who are holding damp children and/or cameras to take those memorable photos that make all the other Tweed Riders green with envy. Tweed Ride and Blue Bridge- The one and only time that Tweed Ride will get to ride over that wonderful span before it is demolished. We then swing onto the Galloping Goose trail. Be aware that as the Trial narrows, we will be asking Riders to shift from Columns of Fours to Three’s, Twos and at one point Ones. 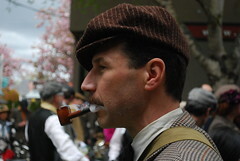 Again, listen to the mellifluous tones of your Tweed Ride Marshals and all will come off swimmingly. 1:30 pm- Tweed Ride meets the Gorge- The Ride will wind itself through the Gorge waterway and finally come to rest in a pastoral sport where a steaming cup of tea awaits and the lawns prepare themselves to be kissed by tartan blankets and wicker hampers filled with delicacies. 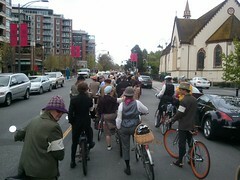 3:00 pm- Tweed Ride ends.Please take care riding home, dear Tweed Riders. 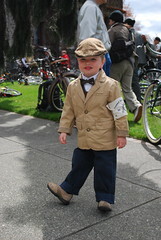 North Park Bicycle Shop have firm supporters of the Tweed Ride and this year is no exception. Ample prizes will be presented to the best bicycle ridden by a male and female. 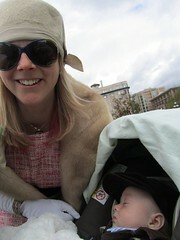 North Park carries very tweedy helmets, perfect for the tweed ride; worthwhile to suss out. 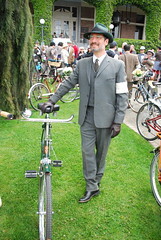 Posted on September 8, 2014 by Tweed Ride Victoria Posted in Uncategorized	. on Wednesday, September 10, 2014. This is a great opportunity to view the stylish bicycle accessories Le Vélo offers on line and to see what she has brought back from her recent trip to Holland. 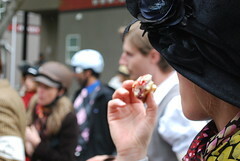 Posted on September 7, 2014 by Tweed Ride Victoria Posted in Uncategorized	. 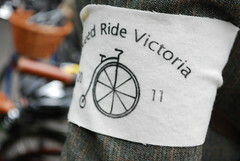 Posted on September 6, 2014 by Tweed Ride Victoria Posted in Uncategorized	. W J Wilson & Sons is recognized as Victoria’s destination for fine woolen imports and exceptional apparel. 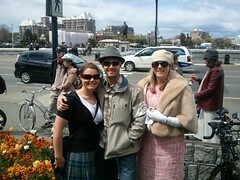 Firm supporters of the Tweed Ride since year one, WJ Wilson proceeds again with generous prizes for best dressed male and female.